Professional Services ‹ Jaguar Appraisals & Determinations, Inc.
Our professional consultants each have specific areas of expertise and diverse backgrounds. For a CV on any of our consultants, please contact our office. Accounting Losses: Loss of business income, Extra expense/Expediting expense, Inventory damage, Personal/ Real Property, Surety/Fidelity Bonds, Product Liability, Third Party Liability, Construction Project Audits, Errors & Omissions, Cast Insurance, Environmental Audits, Co-insurance Calculations, Reserve Calculations, Business Evaluations, Instruction Seminars, Workers Compensation Analysis. Architectural: Building Code Interpretation, Design Defects, Construction Defects, Building Materials, Construction Accidents. Automobile Engineering: Tire evaluations, steering, fuel systems, brakes and hydraulics. Crash Data Retrieval. sledding, slips and falls, industrial movements, boxing headgear, forklifts, bulldozers, farm tractors, ladders, coal mining, bikes, vehicular impacts. Blasting & Vibration Determinations: Liability Investigation for blasting, construction vibration claims. Cause & Origin: (fire to buildings, building failure, fire to vehicles, machinery & equipment failure, bombs, explosions, review of codes, fire scene photography, evidence collection, investigation/interviews). Construction Defects: Commercial, Institutional, Industrial and Residential Buildings. Certified Industrial Hygienist: Air Sampling, Indoor Air Quality, Toxic Fumes, Contaminated Buildings, Phase I & II Env. Assessments, Hazardous Material Evaluation, Lead, Asbestos, PCBs. Mold and Mildew. Civil Engineering: Underground Drainage, Treatment Plants, Underground Utilities, Water Infiltration, Run Off Surface, Floods, Sink Holes. Construction Scheduling: Detailed graphs and charts prepared by commercial construction project managers. Schedules provide adjusters and accountants a detailed picture of the overall time involved to complete any project. Design Defects: Bridges, Buildings, Equipment, Machinery, Tools, Appliances. Electrical Engineering & Electronic Engineering: Power Equipment, Power Wiring, Power Surges, Sub- stations, Electrocutions, Lightning, Electronic Failures, Electric Estimating, Assessment & Cost Analysis. Environmental Engineering: Waste Water, Contaminated Water, Hazardous Waste Contamination, Well Water, Storm water drainage, Fuel oil leaks/spills, Gasoline spill, Expansive soil damage, Erosion & Sediment Control, Air Pollution, Waste Water Treatment. Hydro Geological, Geology & Geotechnical:Sub-soil problems & conditions, Sink Holes, Natural Settlement, Vibration, Blasting, Digging, Highway & Roadway Construction, Foundations, Retaining Structures, Soil Modification, Dewatering Conditions, Earthworks, Site Work. Property Damage Estimating: Cost Evaluation, RCV & ACV calculations, Commercial, Institutional, Residential, Parking Lots, Lighting, Landscaping, Sitework, Cost Analysis. Surveyors: Slip and fall accidents. Was the accident on the insured’s property? Property line determination. Mechanical Engineering: HVAC, Boiler & Machinery, Refrigeration, Cryogenics, Hydraulics, Elevators, Lifts, Chillers, Industrial Processing, Material Handling, Public Service Gas & Utility, Failure Analysis of Mechanical Components, Reactor, Fluid Flow, Heat Transfer, Thermodynamic for power plant systems, Turbines, Gas Systems, Hydrostatic Systems, Nuclear Systems, Line Leak Detection Systems. Machinery & Equipment: Cause of Failure & Analysis, Assessment of Damage, Personal Injury, Design or Installation Defects. Structural Engineering: Roofs, Decks, Structural Steel, Concrete, Steps, Collapse, Bulges, Failure Analysis, Tanks, Vessels, Floors, Walks, Commercial Building, Institutional, Residential. Material Science: Product Failure Analysis, Material Failure Analysis, Vehicle Components, Tires, Seat Belts, Industrial Injuries, Power Tools, Water Pipes, Steam Lines, Fasteners, Textile Machinery, Motorcycles. Metallurgy: Fatigue & fracture, failure analysis, manufacturing technology, development of corrosion resistant seals, annealing treatments for titanium alloys. 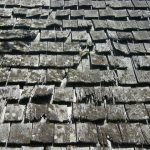 Roof inspectons: Determine causation of roof related issues. Toxicology/Pharmacology/Biology:Substance Abuse, Drug & Alcohol Testing, Liquor Liability, DWI and Related Cases, Chemical Related Deaths, Forensic Accident Reconstruction, Toxic Tort Review, Workers Compensation, Lead Poisoning, Environmental Pollution. Traffic Engineering: Highway design, Traffic signal design, railroad mass transit station design, safety studies.